We are human beings and we are quick to judge. We give a meaning to what’s good or bad, and what’s even worse, we also give a meaning to who is smart and who is stupid. Have you ever considered that everyone is “ok” just the way he/she is? The person may be in the wrong job, in the wrong work environment or even have the wrong boss but if we judge, we cannot help the person to get better. If people would make a greater effort to understand people, life would become a whole lot easier – at home and at work. 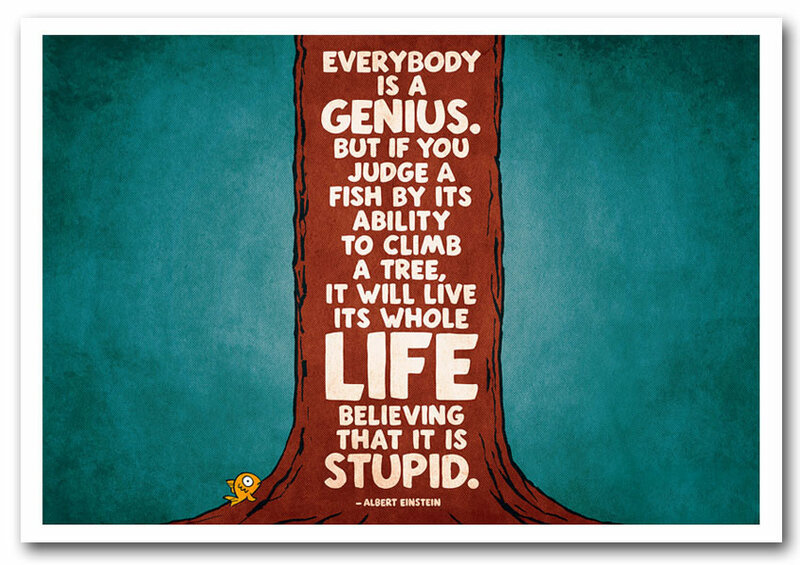 One thing that I observe regularly is that most employees don’t really think about what their strengths are. They try to survive the day, the week, the month, the year. How sad is that? Strengths seem only to be of importance in a job interview but that’s about it. I always like to explore in my workshops if people know their strengths, and you would be surprised how many people struggle to come up with an answer. Life is too short to struggle to get better at something that you are not meant to do. Am I right? For example, I am better with people than with numbers and that’s why I do what I do. Having said this, I used to work 15 years in a bank in Austria and I wished I would have figured out earlier how important it is to do work based on your strengths. However, it’s never too late to take action. If you are in a management position or a company owner, consider this. How can your organization get to the next level if the people who work there don’t even know what they’re good at? I encourage you to see more in people than they can see in themselves. Look for their strengths instead of criticizing their weaknesses. How about this for an awesome start into your week?